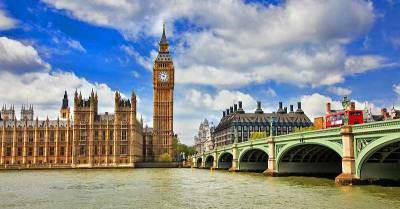 The British Parliament along the Thames Rivers at the Westminster Bridge is one of the most popular attractions for those who visit London. The British Parliament buildings contain the House of Lords, the House of Commons and the clock tower of Big Ben. 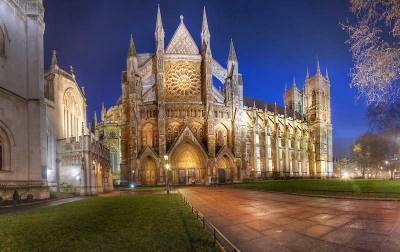 Westminster Abbey is right behind the British Parliament. Weddings for the Royal Family often take place at Westminster Abbey. Directly beside the Abbey is St Margaret’s Church. Both are World Heritage Sites. 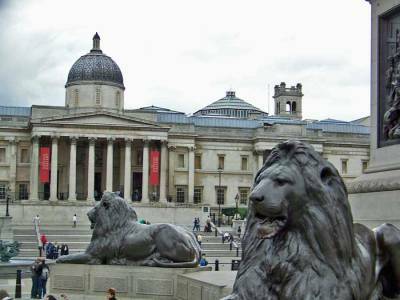 Trafalgar Square is a popular tourist stop where you can see Nelson’s Column and the National Gallery. 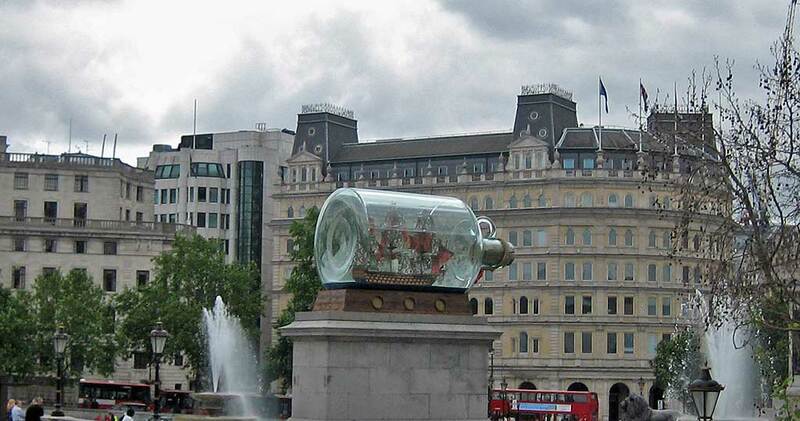 The Nelson’s Ship in a Bottle sculpture is a favorite photo opportunity. 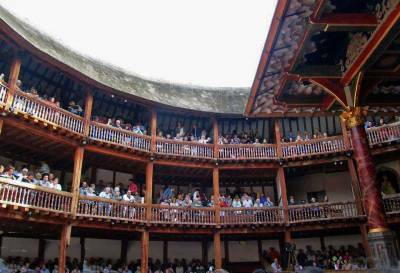 Nearby, visit Covent Garden and stroll the shops and markets. Also close by is Piccadilly Circus. Piccadilly is actually a traffic circle and a place where lots of people hang out. It has nothing to do with a circus. Somerset House is another attraction not far from Trafalgar Square. A short block away from Trafalgar Square is the impressive Admiralty Arch. 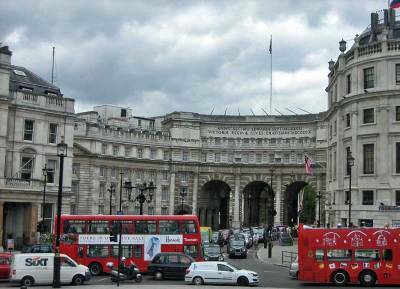 Walk through the Admiralty Arch to the beginning of the Mall boulevard that leads to St James Park and Buckingham Palace. Another extremely popular attraction for those who visit London is Buckingham Palace. Buckingham Palace is the primary residence for the Royal Family. The changing of the guard is popular viewing for tourists. The palace is at the western end of St Jame’s Park. The Mall runs through the park, but it isn’t a shopping mall. 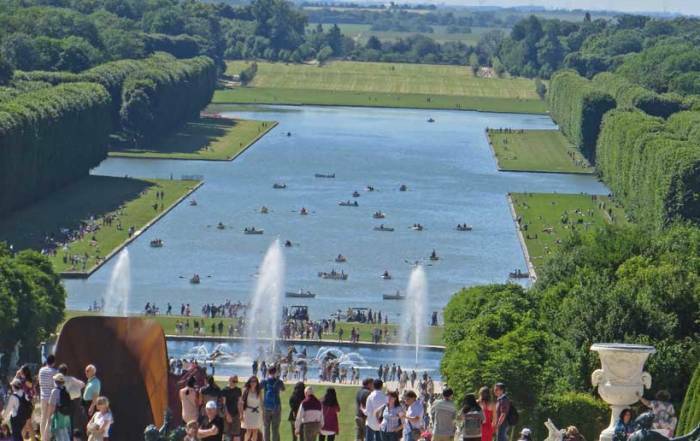 Instead, the Mall is a long, wide and straight promenade to the palace. The Churchill War Rooms museum is in the park too. Churchill led the British World War II effort here in an underground maze of office space. 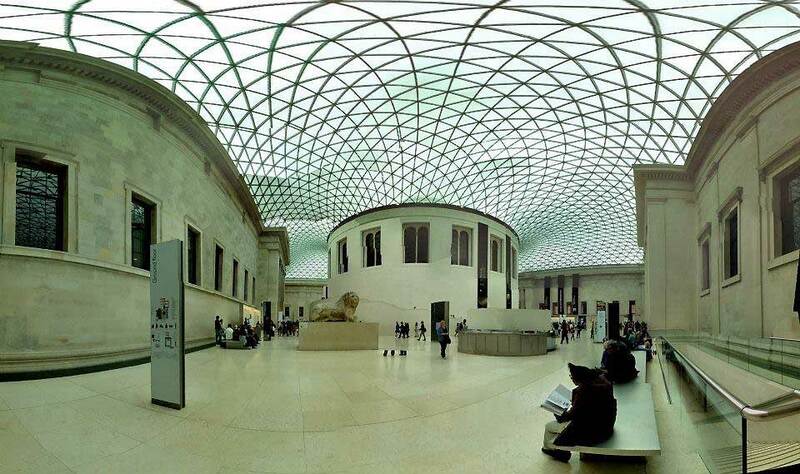 The British Museum is one of the world’s premier collections of artifacts. Britain brought original art and sculpture to the British Museum from all over the world during the height of the British Empire. See the Grand Court, the Reading Room, the original Rosetta Stone and the original sculptures that adorned the Parthenon in Athens. 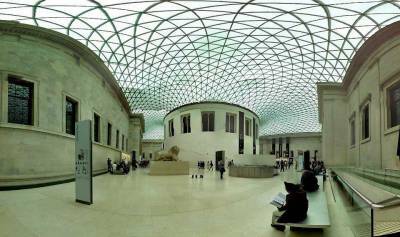 The collection has created international controversy because many nations have fought to recover their antiquities from the British Museum. 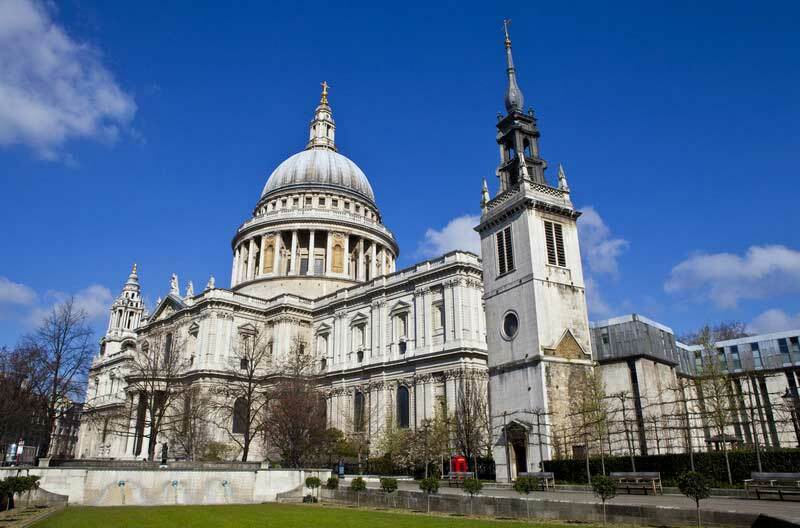 St Paul’s Cathedral is one of the largest churches in the UK. Services are held daily. Entry to the church is free, but an admission is charged to climb the 1,161 steps to the Golden Gallery. At the top, you can catch views of the city. Stop at the Whispering Gallery and the Stone Gallery along the way. 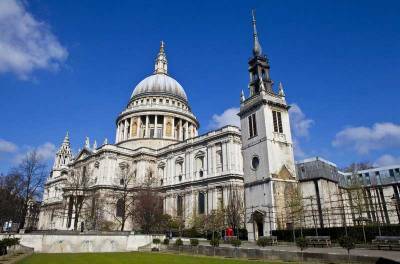 Famous people buried in the crypts of St Paul’s Cathedral include admiral Lord Nelson, the Duke of Wellington who defeated Napoleon, poet John Donne, architect Christopher Wren, explorer Captain Robert Scott and poet Samuel Johnson. Hyde Park is famous for its Sunday afternoon public speaking at the Speaker’s Corner. 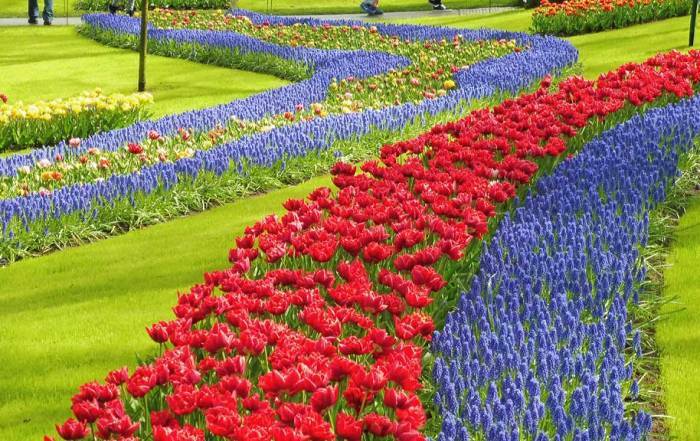 You will also find Kensington Gardens in Hyde Park. Along the edge of Hyde Ppark is Apsley House, the former residence of the Duke of Wellington. Apsley House is often referred to as Number One London. The Albert Memorial is also found at the edge of the park. The memorial commemorates Prince Albert, husband of Queen Victoria. Across the street from Albert Memorial is Royal Albert Hall. Not far from Hyde Park is the Victoria & Albert Museum, known for its art and design. 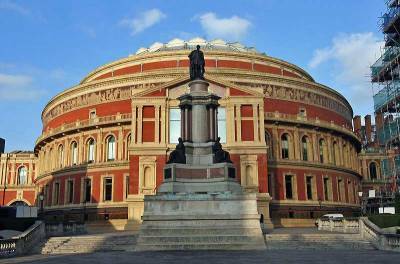 The Natural History Museum and the Science Museum are next to the Victoria & Albert Museum. 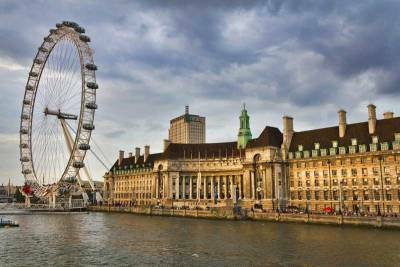 The Thames River is a focal point when you visit London. 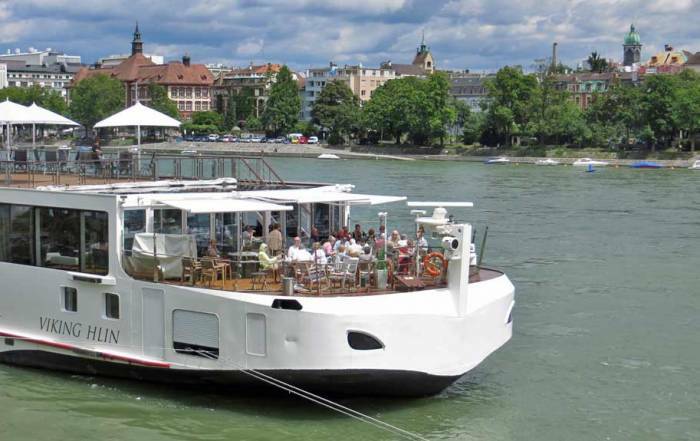 You can take a river cruise between the Tower of London and the Parliament. 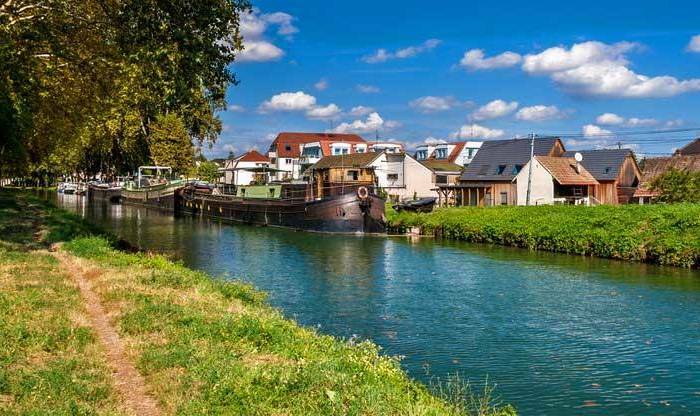 Hop-on Hop-off tours include the Thames river cruise on their bus tours. 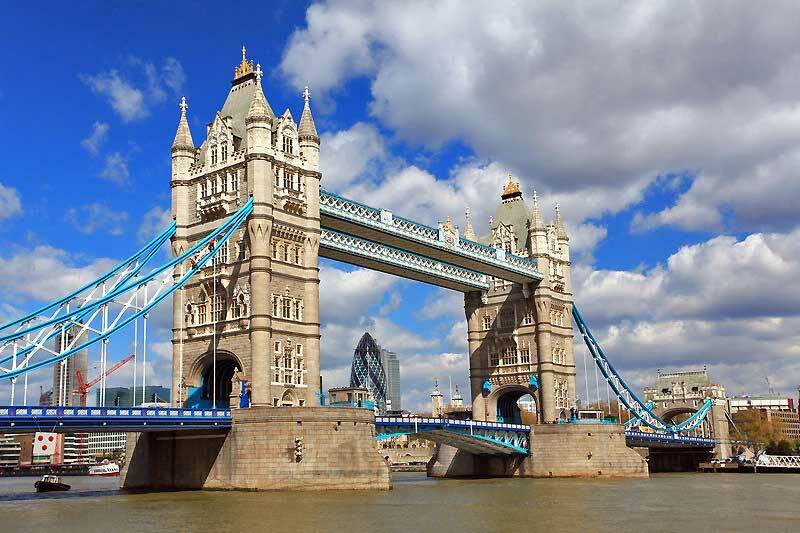 See the Tower Bridge, the London Eye and the Tower of London. The Tower of London is a royal palace and a UNESCO World Heritage Site. It was built in 1066. The British Crown Jewels are on display there. 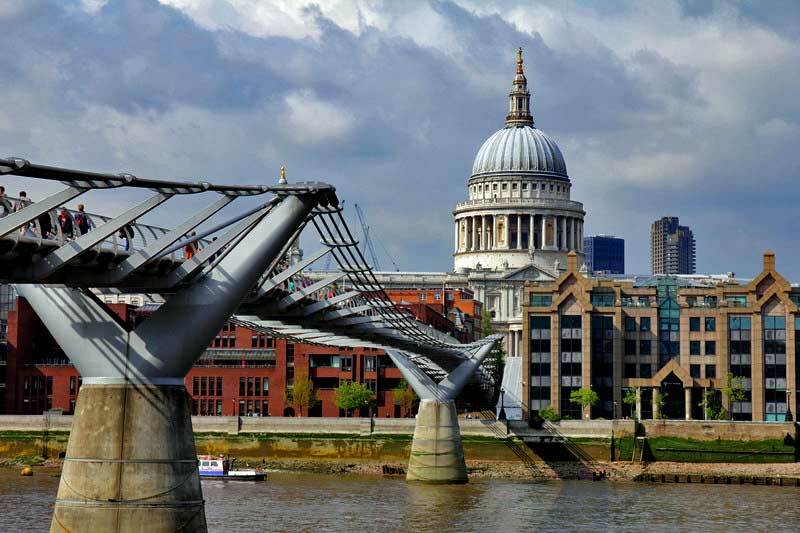 Another way to view the Thames is to walk across the Millennium Bridge from St Paul’s Cathedral to the Tate Modern & Shakespeare’s Globe on the other shore of the Thames. 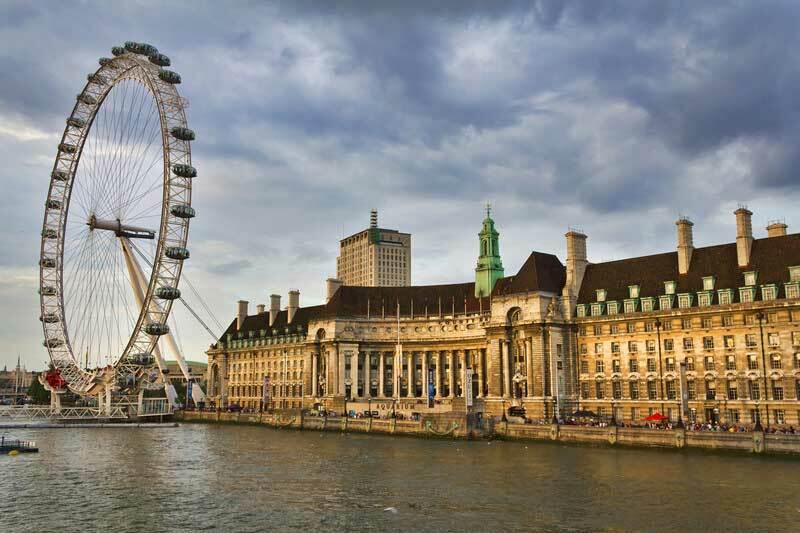 Then on the south side of the river, continue walking along the Thames on the Jubilee Promenade, past the London Eye to the Westminster Bridge. Or walk the opposite direction to the Borough Market. Royal Observatory – location where time is set for the world, giving rise to the phrase Greenwich Mean Time. Abbey Road – for Beatles fans. Kew Royal Botanical Gardens – a UNESCO World Heritage Site. Harrods – a huge department store with high end shopping. The store has a small shrine to the memory of Princess Dianna and Dodi Fayed, whose family owns Harrods. Day trip to Bath, Stonehenge and Windsor Castle. Most people get to London Heathrow Airport (LHR) , which is the busiest airport in the world. Heathrow is the hub for British Airways. The Heathrow Express connects Heathrow to Paddington Station by a 15 minute express train. The Heathrow Express is expensive, but saves time due to its very limited number of stops when compared to the regular underground transit system. Some flights get to London by using Gatwick Airport (LGW) instead of Heathrow. The Gatwick Express takes passengers from Gatwick to London Victoria Station with a travel time of about 30 minutes. The London Underground transit system is called the Tube. Transport for London runs the Tube. The Piccadilly Line runs from Heathrow Airport to Piccadilly Circus and King’s Cross. King’s Cross has National Rail system connections to Glasgow and Edinburgh. Southampton is the cruise port for London, but it’s more than 2 hours by rail from the city. London also has an extensive bus system of red double decker buses. Bus drivers do not accept cash, so you will need to buy Visitor Oyster Card. A better option might be a Hop on Hop Off service to see the sights of London, because you won’t have to figure out the bus system. 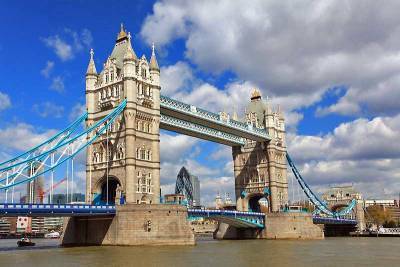 Try the Original London Sightseeing Tour or Big Bus Tours. If you rent a car, remember that the UK drives on the left hand side of the road. London weather is moderated by the Atlantic. Temperatures are comfortable from June to September. Expect average highs in July and August of 74 F (23 C) and average lows of 57 F (14 C). In winter, temperatures rarely drop below freezing. Rainfall is a threat throughout the year. Cold, dark and humid weather are a trademark of London weather. The city of London is not only a great place to visit, but it makes a great layover too when traveling between Europe and North America. London is the capital of England and the United Kingdom. The city is on the Thames (river) and was founded by the Romans. William I was crowned the first King of England in 1066. 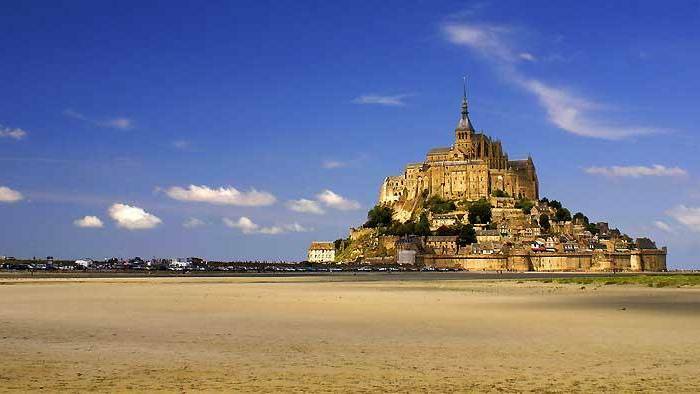 He crossed the English Channel from Normandy to take control of the country. 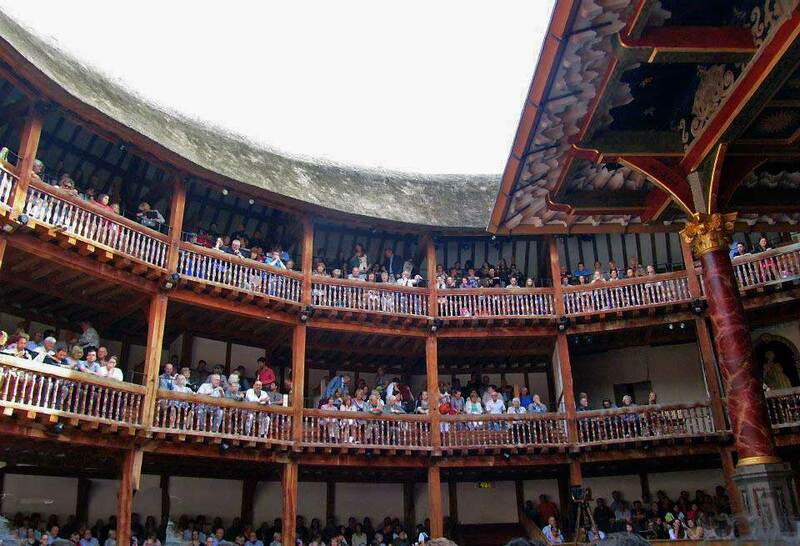 Shakespeare lived here in the 16th century. The Duke of Wellington defeated Napoleon in 1814, which preserved London’s English heritage. Winston Churchill was the hero who led the country when London was heavily bombed by the Blitz of the German Luftwaffe in World War II. In present times, the city is known for its cultural diversity. The London Underground (the Tube) is the oldest underground railway in the world.